A-National is the Premier Atlanta Limousine Service featuring reliable and professional limousine services to the Greater Atlanta Area. A-National provides limousine, town car, shuttle, SUV, and van services throughout the Greater Atlanta Area and globally. For over 30 years, we have earned a competitive advantage in the industry by providing a diverse array of services: private and special needs services; airport commercial ground transportation services; curbside management services; and dispatching services to and from Hartsfield-Jackson Atlanta International Airport. Our professional relationship with an extensive limousine network of affiliates allows us to provide the highest level of limousine service from any location worldwide. Whether you are looking for a night out in Atlanta’s Buckhead area in Georgia or a weekend in Boise, Idaho, we are able to coordinate all your limousine reservation needs. Outside the Greater Atlanta Area, A-National Limousine provides global, point-to-point chauffeured limousine services to every major city, state and country. Our national network of limousine affiliates is compromised of qualified limousine transportation companies that represent the A-National Limousine standards of safe, reliable, and quality services. Within the Greater Atlanta Area, A-National Limousine provides continuous luxury airport limousine services to and from the Atlanta Hartsfield-Jackson International Airport, 24 hours a day, 7 days weekly and 365 days yearly. In other words, we understand the importance of our clients reaching their destinations safely, on time, and in maximum comfort. Air travel is tough enough without the extra worries associated with traffic, parking, and security. 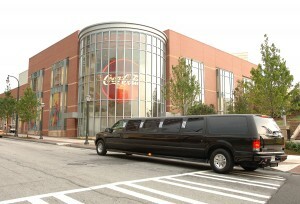 Let A-National Limousine coordinate your limousine travels… worry-free.